Mutual funds are professionally managed investment schemes that pool the money of investors together to invest into equities market, bonds, and debt instruments. Mutual funds are one of the cost effective and simple ways to take the advantage of equity as an asset class. Mutual funds are considered as one of the best available investments as compare to others they are very cost efficient and also easy to invest in, thus by pooling money together in a mutual fund, investors can purchase stocks or bonds with much lower trading costs than if they tried to do it on their own. 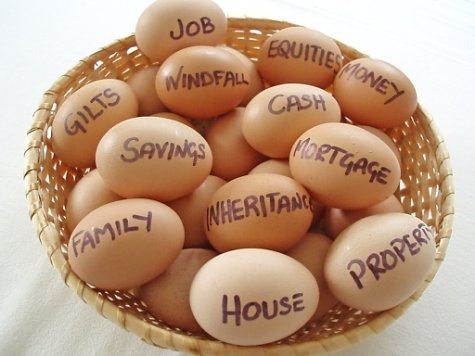 But the biggest advantage to mutual funds is diversification, by minimizing risk & maximizing returns. The Systematic Investment Plan (SIP) is a simple and time honored investment strategy for accumulation of wealth in a disciplined manner over long term period. SIP investments reduce the risk on investment and volatility of market. There is a wide range of funds which can be selected based on your risk appetite and financial goals. Diversification - Purchasing units in a mutual fund instead of buying individual stocks or bonds, the investors risk is spread out and minimized up to certain extent. The idea behind diversification is to invest in a large number of assets so that a loss in any particular investment is minimized by gains in others. Do not put all eggs in one basket!!!!!! Economies of Scale - Mutual fund buy and sell large amounts of securities at a time. Therefore, help to reducing transaction costs, and help to bring down the average cost of the unit for their investors. Liquidity - Just like an individual stock, mutual fund also allows investors to liquidate their holdings as and when they want other than ELSS funds. Simplicity - Investments in mutual fund is considered to be easy, compare to other available investment instruments in the market. You can start investing in mutual funds through SIP mode at Rs.100/- per month. Variety - Mutual funds offer a tremendous variety of schemes. This variety is beneficial in two ways: first, it offers different types of schemes to investors with different needs and risk appetites; secondly, it offers an opportunity to an investor to invest sums across a variety of schemes, both debt and equity. For example, an investor can invest his money in a Growth Fund (equity scheme) and Income Fund (debt scheme) depending on his risk appetite and thus create a balanced portfolio easily or simply just buy a Balanced Scheme. Investing in too many funds is counter productive; instead have a lean and mean portfolio. 1. Low or High NAVs are irrelevant in mutual funds. There are very good funds with very high NAVs and terrible funds with low NAVs. If you are choosing funds on the basis of NAV level, then you are basically making a choice randomly, without any basis. On the same lines, investing in new funds because their NAV is Rs 10 is pointless. Solution: Don’t consider NAV price as a parameter for choosing a Mutual Fund. 2. Dividends in mutual funds are not actually dividend income, they are just withdrawals from your own money. If your fund investment is worth Rs 20,000 and you receive Rs 1,000 as dividend, then the worth of the investment goes down to Rs 19,000. The dividend just means being given a part of the money that was yours anyway. Dividends from equity funds are tax-free but so are capital gains for holdings above one year. Under the new tax laws, the dividends will actually carry a five per cent tax. This is meaningless activities that just generates accounting entries and have tax implications. Solution: You lose out the advantage of compounding when you withdraw money from mutual fund by way of dividend. For compounding to work effectively, it's important that you stay invested i.e. preserve your original investment and if possible add to it, but do not withdraw from it, unless it's an emergency. 3. Investing in too many funds is always counter-productive. Five to seven well-chosen equity funds are ideal, any more will rarely give better returns. Investing in dozens or hundreds of funds will definitely produce returns that are worse than the general market returns. Solution: Diversify your portfolio by selecting different category of fund like equity diversified large cap, mid cap, small cap, balanced fund and sector specific fund depending upon your risk appetite and financial goals.